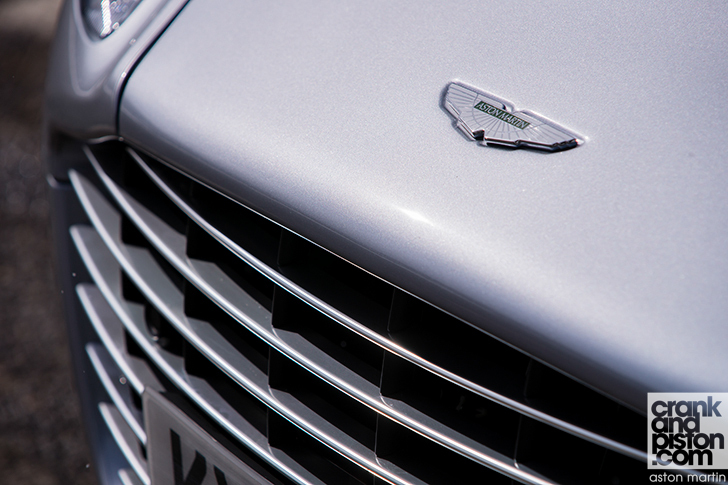 crankandpiston brushes up on its Spanish on a trip to Cataluña to test drive the new Aston Martin Rapide S. But is a new model three years after the original really worth it? Let’s get this out of the way right from the beginning: the Aston Martin Rapide is not a replacement for a conventional four-door saloon. Those who are approaching it with that outlook are going to find it a very flawed proposition. If you’re shopping for a car with true practicality and everyday back-seat utility this is not the one for you. If you are, for example, a famous British spy who mistakenly knocks up one of the bevy of beauties constantly surrounding him, and are forced into settling down with a young family, then the Rapide should be right up your street. The back seats are seriously tight and are not a serious proposition for anything but the shortest of trips or the shortest of people. 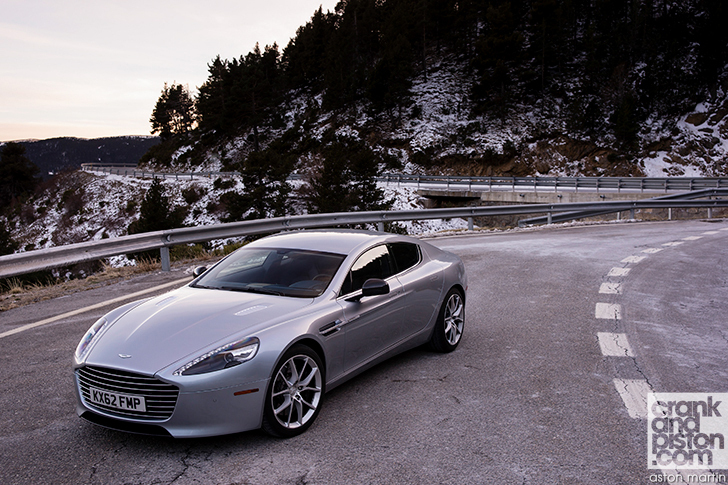 That said, there is no shortage of things to like about the Aston Martin Rapide. Not least of which is the fact that it’s an utterly beautiful looking car. Its proportions are spot-on and its tightly sculpted lines offer a tiny glimmer of hope that the art of designing pretty cars is not dead just yet, despite the best efforts of cars such as the Porsche Panamera. Its engine is also a thing of beauty, the 5.9-litre V12 makes a noise that is as evocative as it is distinctive. If my memory serves me correctly it was also a pretty impressive steer the last time I drove it. Nevertheless, there were some substantial flaws with the first iteration and the new Rapide S, with only mechanical and spec changes, isn’t going to change that. 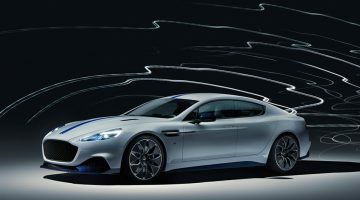 It replaces the old Rapide in Aston’s line-up and the most significant news is the arrival of a new engine to help it match the firepower of its perceived rivals. The S gets the latest AM11 version of Aston’s venerable 5935cc V12 which now pumps out 550bhp; a huge jump from the 470bhp of the original Rapide, not to mention 40bhp more than the DB9 gets from the same unit. 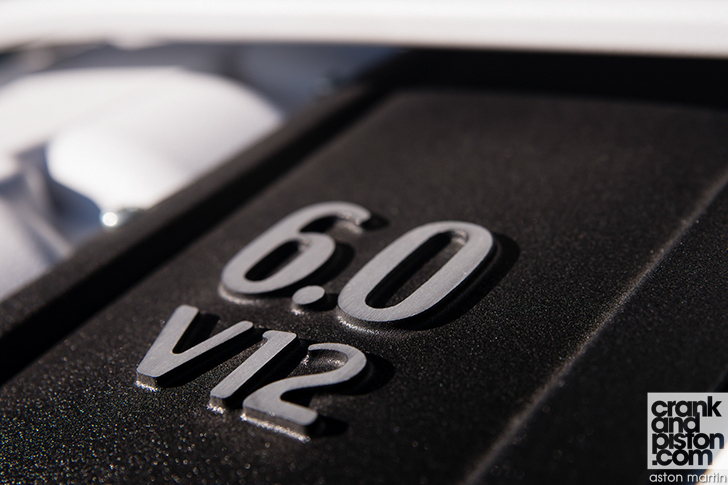 It’s a sizeable increase, with the extra power coming from internal revisions (including lightweight hollow camshafts) and a revised induction system, but more importantly a big jump in the V12’s rev limit which now gives its all at 6750rpm compared to the original Rapide’s 6000rpm redline. 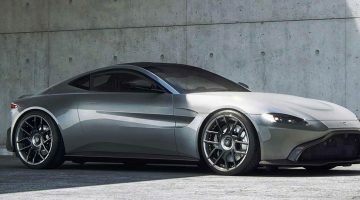 Along with the hike in power there is a more modest torque increase of 15lb ft bringing it up to 457lb ft. Aston Martin also claims to have retuned the engine to deliver more torque lower down the rev range too, with a minimum of 30lb ft extra from idle to 4000rpm. 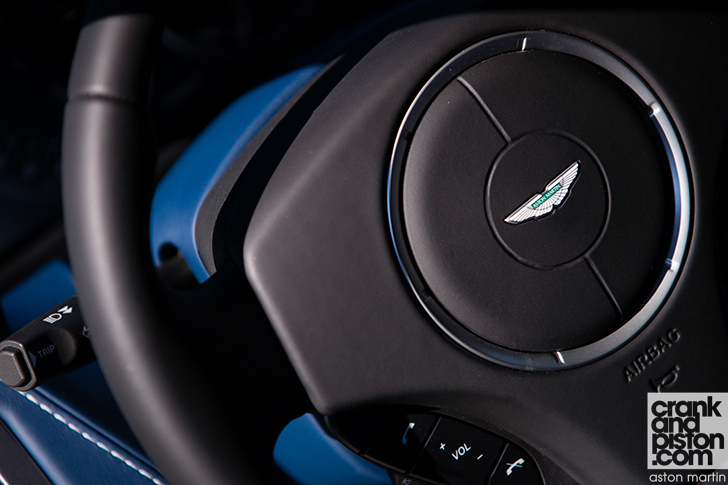 As before there’s only one transmission option – a six-speed torque-convertor auto – but Aston says the extra power has trimmed 0.3 seconds from the 0-100kph time. The claimed figure of 4.9 seconds is pretty impressive in isolation, but is a bit underwhelming when compared to similarly-powered sports saloons that routinely duck below four seconds in the race to the tonne. Not that the revised engine has a chance to demonstrate its improved abilities on the first part of our journey, which takes in mostly heavily-policed quaint villages outside Barcelona in the heart of Cataluña (whatever you do, don’t call it Spain) followed by bits of restricted motorway. This does though give me the opportunity to take in the rest of the Aston’s considerable charms. It’s a beautiful place to spend time, with lots of soft leather everywhere and, in our test car, some tasteful optional carbon trim (a $4500 extra). The centre console is beginning to feel its age, particularly as Aston did not take the opportunity to apply the excellent new layout that was introduced in the Vanquish a few months ago. The driving position is a bit stuffy compared to a proper saloon’s, as the Rapide S is identical to the DB9 from the front bulkhead forwards. Nevertheless it’s a perfectly comfortable place to be and despite spending several hours behind the wheel I remain fresh and back-pain free. The only real complaint is with the satnav; Aston has swapped the terrible Volvo system it used to have to a new still-not-fantastic Garmin-based set-up. While graphically superior to the old system it remains pretty awkward to use. I’m a few hours into the drive now and the road ahead has transformed from drudgery to pure bliss as we climb upwards into the Pyrenees. The deserted ribbon of narrow tarmac ahead is challenging to say the least with straights never lasting for much longer than a few seconds, frequently punctuated by every manner of corner from tight second-gear hairpins to quick off-camber blind sweepers. 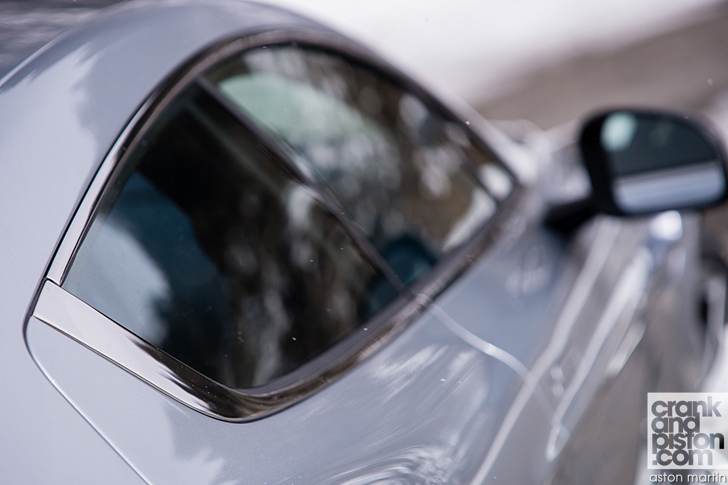 The roads ahead are more suited to a hot hatch but the Rapide deals with it exceptionally well.